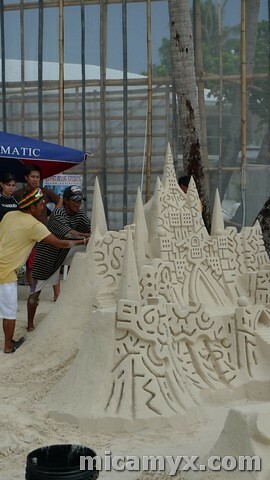 If you’re thinking that our first day in Boracay is the busiest day, better think again. I woke up at 9PM alone in the room. 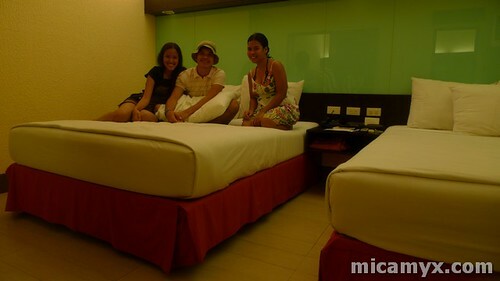 I blame the cozy room of Microtel Boracay for giving me a cozy sleep which lasted for hours. Most of the bloggers and staff went to the Church to attend the early mass. I asked for my breakfast coupon and ate Â breakfast alone. 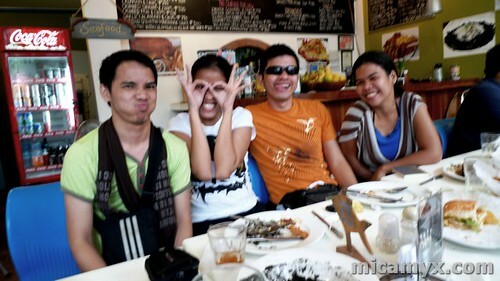 By 10:30AM, the Microtel Shuttle sent us to ‘D Mall for our lunch at Fish Bar. I like the simplicity of the restaurant. If i’m not mistaken, they are best known for their Fish & Chips. They offered different types of dishes. With good food and relaxing venue, we were able to know each other in a more personal level and even exchanged ideas about blogging (specifically on making money online teehee). 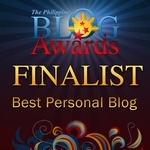 The blogger group was divided into two after. 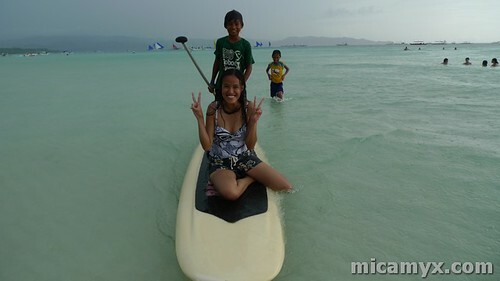 The other half decided to rent a boat and go island hopping while the rest tried reef walking. Since i’ve already done the reef walking once and the island hopping activity twice, I decided to just walk around the stations and took some photos. I found myself at Jony’s Fruit Shakes. 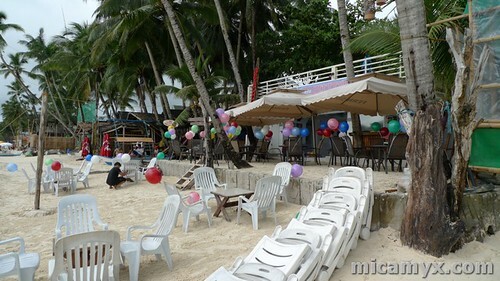 It is one of my favorite spots in Boracay especially if you simply want to relax and enjoy the view of the beach. I waited for Gael, Darwin and Edcel for 30 minutes. They ordered shakes too and loved it! It was raining that time, but it didn’t stop us from enjoying the beach. We can spot a number of tourists (mostly Koreans) having a good time. 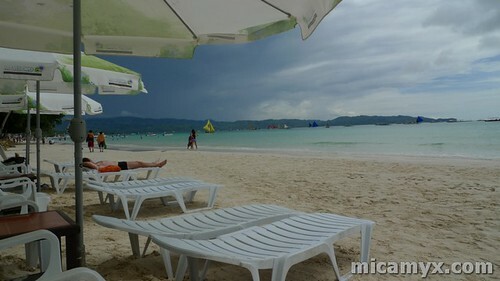 I really love the sand in Boracay. If only I can bring some home! It's raining hard, but we're having fun! The boys tried skimboarding and asked a little kid to teach them 😛 Gael and I continued to swim at the beach and later on, the four of us had fun throwing Boracay sand at each other LOL! 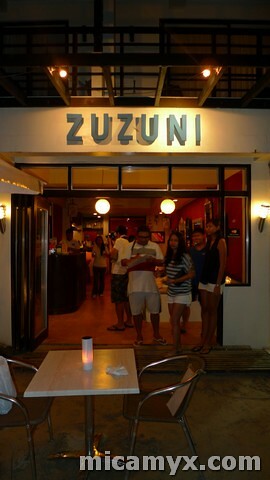 We were picked up for dinner time and this time, we went to Zuzuni. 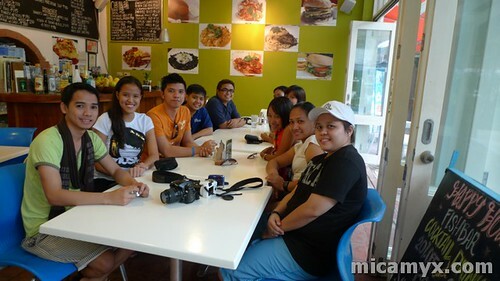 My grandparents ate there when we first went to Boracay (date without the grandchild LOL). I like the romantic feel of the place. 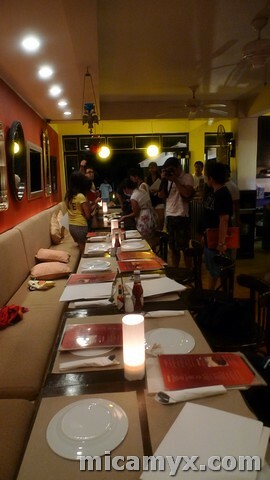 After dinner, we played the ‘Travel Henyo’ game. 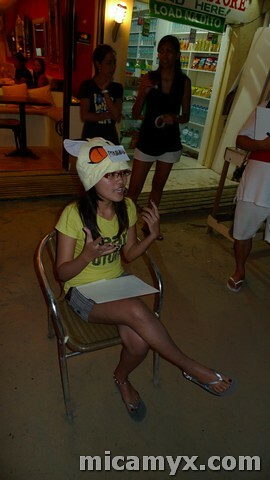 Our group won, but the fact that I forgot about Diniwid Beach is a total boo to me LOL. 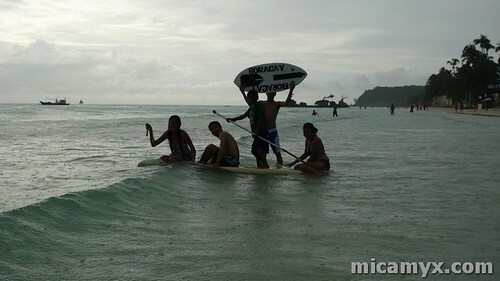 As planned, all of us scouted for ‘Tgsh Tgsh Tgsh’ spots, but Edcel, Gael, Darwin and I ended up in Sand bar by Bamboo. 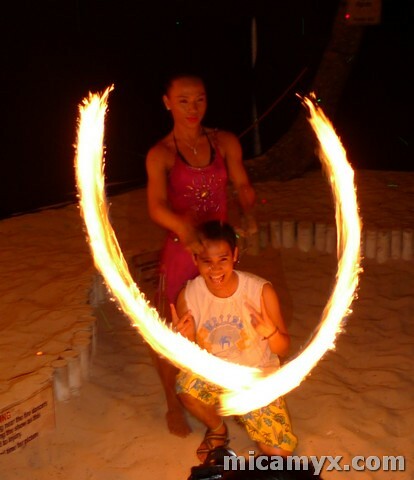 Blame the talented fire dancers like Carla, Roland, Jaydee and the rest for giving superb performances when we were peeping. Ayan, pumasok tuloy kami 😛 We met new friends and yes, I want to be a fire dancer! We went back to Microtel Boracay at past 3AM (hala lagot… tayo namang lahat eh 😛 ) and most of us didn’t sleep ’till breakfast. All our bags are packed, but we are not yet ready to go. But we have to. Day three a.k.a. Monday Morning Farewell entry up next! 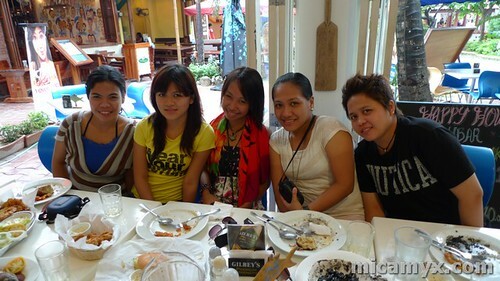 Special thanks to SEAIR, Microtel Boracay, Zuzuni and Fish Bar! Nice! I tried flying SEAIR once and that was totally awesome! What’s Jony’s Fruit Shakes? Is that the same as Jonas Fruit Shakes? Kuya jehz is helping me to get a domain…pag nagkataon ung domain ko is related sa boracay tour ntn,,,hahaha!sana wla pang may-ari nun..
Looks like a really fun trip! 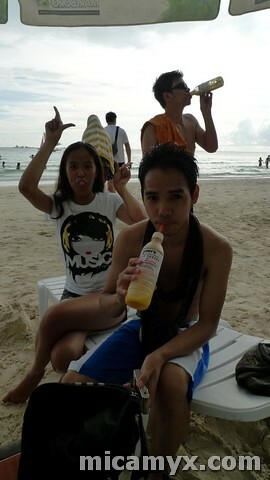 I miss Boracay.. haven’t been there for ages… and I need a vacation!! 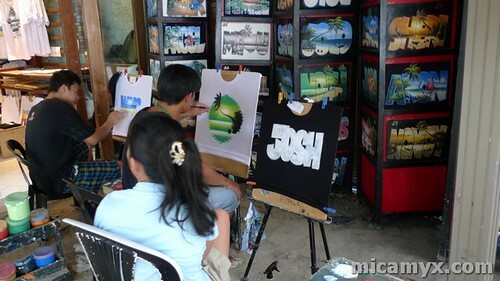 waaaaaaa.. i’m so jealous of you… hehe mwah! enjoy your vacay! ang saya saya. 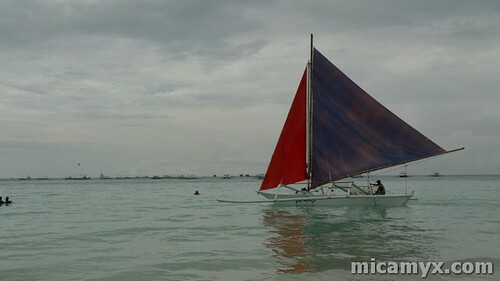 next time nga makasama din sa promo ng Sea_Air.hahaha. at magkasama pala kayo ni Gael? 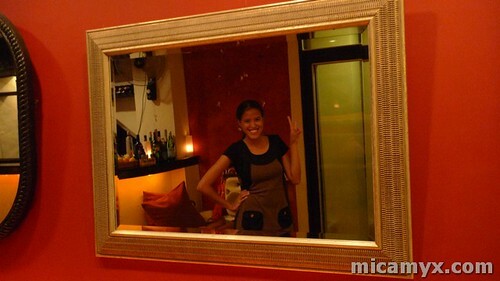 Pinaysolobackpacker. 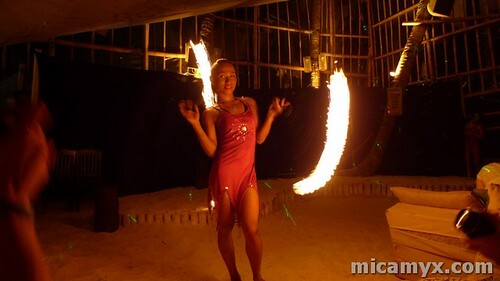 can’t wait to meet you guys…..
Hi Mica, do you have my photo doing the firedancing in Boracay? Can I have a copy?thanks!!! !